Can you open Hotmail in Firefox browser? Home Internet Can you open Hotmail in Firefox browser? If you are using Firefox browser, most probably you might be facing difficulty while opening Hotmail inbox. Due to this problem, I started using Google Chrome in combination with Mozilla Firefox. Hotmail email opens neatly in Google Chrome. Actually, it is a known issue in Firefox 3.10. When its Beta 2 version was released in December 2008, everyone started having the same problem. If you click Inbox on the left pane, on the bottom left, you will see “Loading…” message and that’s it. Even the messages are the inbox remain inaccessible when you try clicking them. People have tried finding a solution to this problem but no avail. In fact, even the Mozilla programmers know it. This is something I dislike about Beta software. The problem is that you don’t know when you will face a problem and no one can do anything about it. With Beta web browsers, there is some relief that they are faster than their older versions, hence people have a tendency to quickly switch over to the latest update. 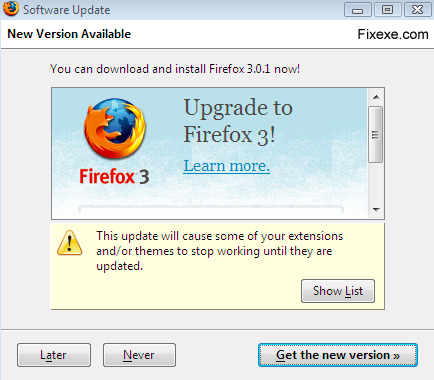 If you are using Firefox 3.1 Beta 2, then it is time you update it to Firefox 3.1 Beta 3. To your amazement, you will see that in the new version the problem of Hotmail has been resolved. What a relief for Firefox users! 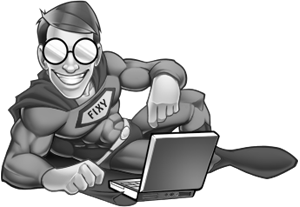 The Firefox developers have stated that this version is comparatively stable and more reliable than the last version. But before you decide to install the Beta 3 version of Firefox, be sure that you understand its limitations too. There might be some add-on compatibility problems and make sure your plug-in is compatible. Aw, this was a really good post. Spending some time and actual effort to generate a great article… but what can I say… I put things off a lot and don’t seem to get nearly anything done. Hi there, You’ve performed an excellent job. I’ll definitely digg it and for my part recommend to my friends. I’m confident they’ll be benefited from this site. Asking questions are genuinely fastidious thing if you are not understanding something entirely, except this article gives fastidious understanding even. Good answers in return of this difficulty with firm arguments and explaining all regarding that. All you do is scroll to that place while you’re connected to the Internet, hit the “Save” button, and in minutes you’ll have the map of it and the surrounding area in fully viewable detail comparable to Google Earth or Google Maps. The site at Trafalgar Square made creating an impressive gallery a challenging task. Their drivers are very knowledgeable and you can hire a London City Airport Taxi to take you to anywhere in the UK – not just London destinations. Do you have a spam problem on this website; I also am a blogger, and I was wanting to know your situation; many of us have created some nice practices and we are looking to exchange techniques with other folks, why not shoot me an e-mail if interested. Any solution to make it working?